Witamy! 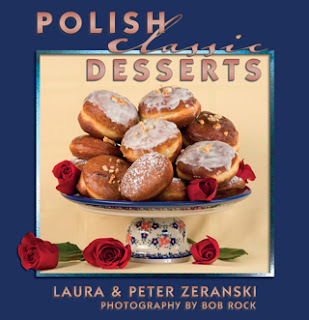 Many Poles love to “do shots” of ice cold vodka – it really smooths the way for many comfort foods featured in our new book, Polish Classic Recipes to be released in March 2011. So if you’ll be at a house party for New Years Eve, here is the perfect hostess gift - a bottle of home made flavored vodka. Who needs to spend a bundle on commercial flavored vodkas? This is just as good, if not better, and it will impress. Especially if you put your own label on the bottle. Excellent vodka does not have to cost a lot. Check out objective vodka ratings on-line…there are several. I recently bought a very smooth bottle of potato vodka imported from Poland, for about $12 (it never leaves our freezer). You don’t need to fall for the hype around broadly advertised brands, but my personal experience suggests that some of the cheap brands do have a bite that is not so pleasant. 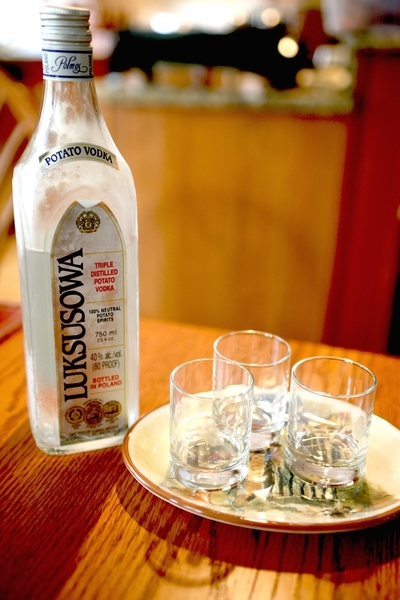 You won’t go wrong with mid-priced vodka imported from Poland or other Eastern European countries. So start with a bottle of good vodka. Then take the rind of one lemon (just the yellow top layer often called the zest), and cut it into very narrow strips. Drop the strips into the bottle. Add 2 tablespoons of sugar (I like to use simple syrup because it dissolves better) to a quart of vodka. Use a little less sugar if you are working with a fifth of vodka or even less...there is no need to be terribly precise. Let it stand for 4 days (in the freezer is best), turning or lightly shaking the bottle once in a while to keep the lemon strips circulating. Strain most of the rind out, but I always leave a few pieces floating, for the color and presentation. Serve ice cold with hors d’oevres or Hunters Stew. P.S. For a twist, you can substitute orange rind.